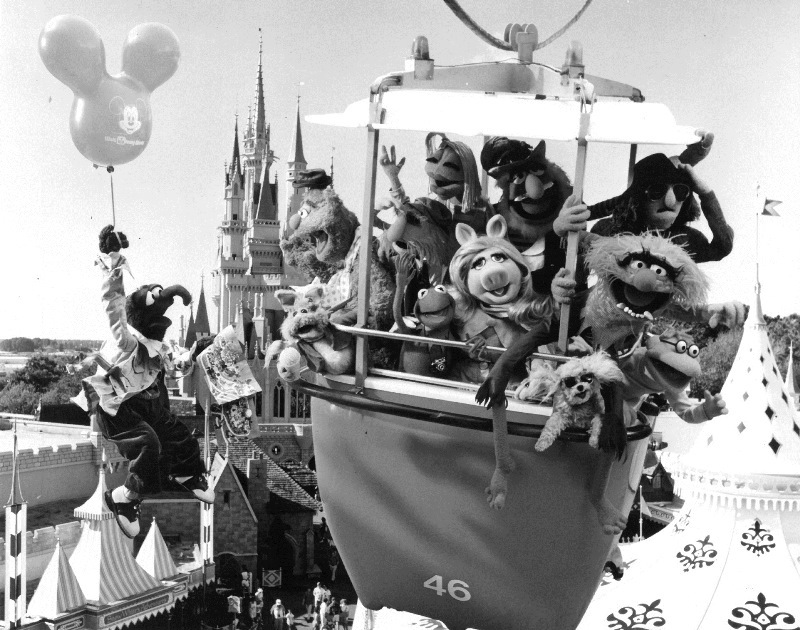 The Muppets have a storied history with Walt Disney World. 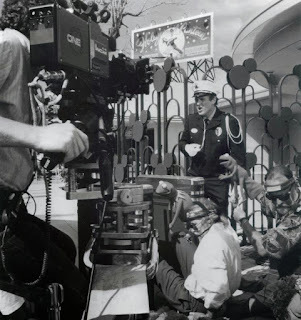 From the early Disney-MGM Studios’ attractions of Here Come the Muppets and Muppets on Location: Days of Swine and Roses, to their long-running 3D spectacular, Muppet Vision 3D, the ragtag group of entertainers have had a place in the parks for almost 30 years. 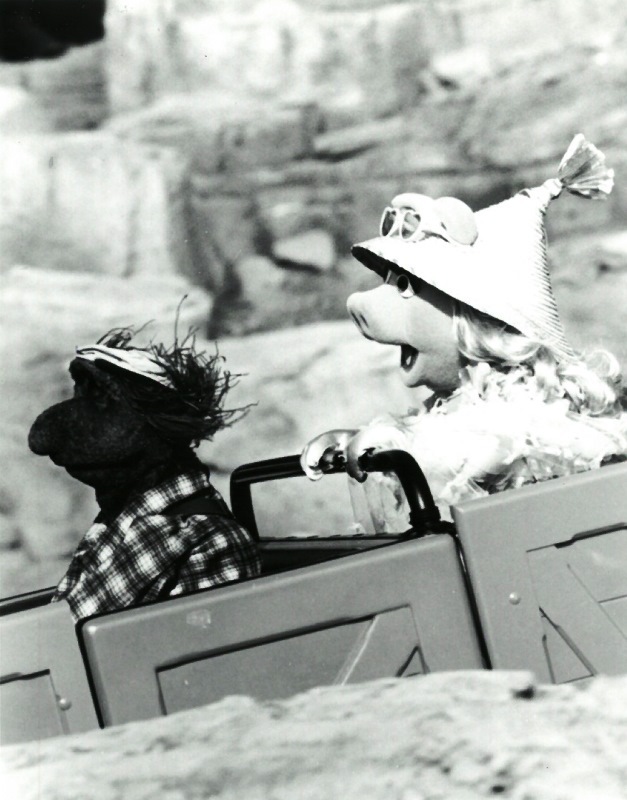 Of course, it helps when you film a television special in the parks too. The Muppets at Walt Disney World aired on The Magical World of Disney on May 6, 1990. The show’s premise was that Kermit was going home to the swamp for his family reunion, but once everyone found out that the swamp was right next door to Walt Disney World they proceeded to sneak in to experience the Magic Kingdom, EPCOT Center, and the recently opened Disney-MGM Studios. Of course, they were pursued by Disney security in the form of Quentin Fitzwaller, also known as Charles Grodin. A young Raven-Symone also played a crucial role as a young girl who cheers up Kermit by singing Rainbow Connection. One the Muppet side of things, all of your favorites are present and accounted for: Kermit, Miss Piggy, Animal, Gonzo, Fozzie Bear, the Electric Mayhem, and the list goes on. 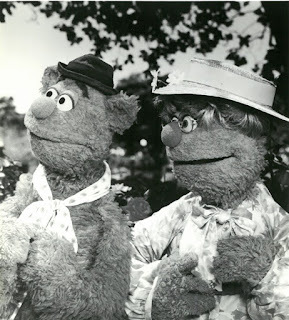 The special, which was only one hour long, also featured some deeper cuts like Beauregard, Kermit’s nephew, Robin, and Fozzie Bear’s mom, Emily Bear. The collection gets into all sorts of antics and experience a ton of attractions, including Big Thunder Mountain Railroad, the Indiana Jones Epic Stunt Spectacular, trash cans (a paper and straw exhibit according to Gonzo), and Miss Piggy even manages to get herself stuck in cement outside of the Great Movie Ride. The Muppets at Walt Disney World also has a bittersweet place in Muppets history, as it is the last time Jim Henson would perform as Kermit, along with other characters in his repertoire. In fact, Henson would pass away only ten days after the special aired. 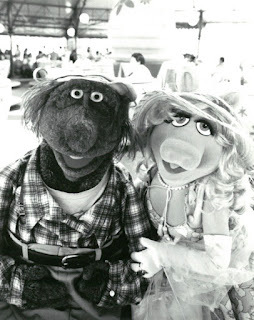 Below are a selection of photos from the special, posed publicity shots, and even a behind the scenes look that includes Jim Henson and Jerry Nelson portraying Kermit and Robin respectively.